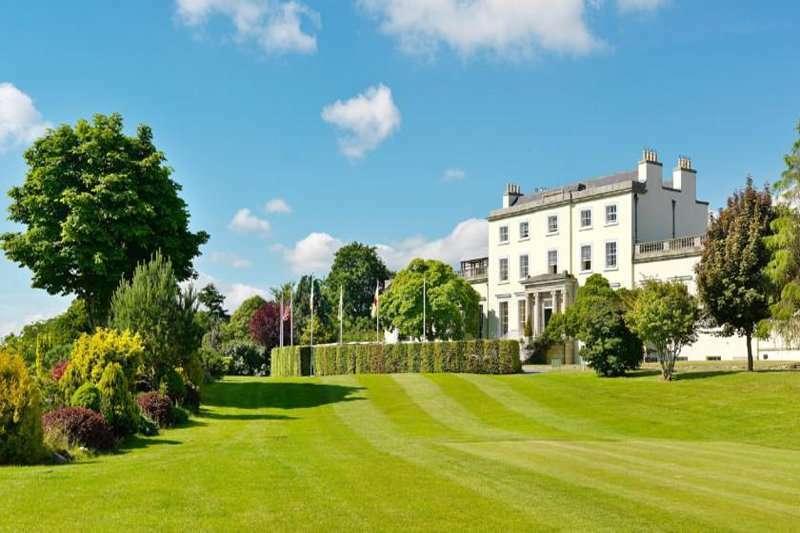 The luxurious five-star Druids Glen Hotel and Golf Resort is situated in the heart of County Wicklow which is a place well-known for its natural beauty. The Resort boasts its own championship golf course as well as extensive leisure and health facilities including an Elemis spa. 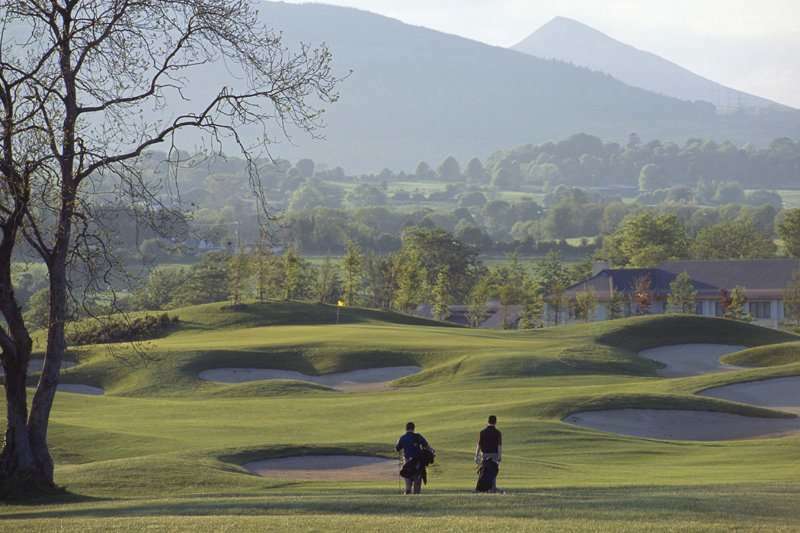 The Resort is nestled in 400 acres of countryside which means that you have the perfect place here to enjoy a relaxing and peaceful golf escape whilst only being 30 minutes from the bustling and exciting city of Dublin. 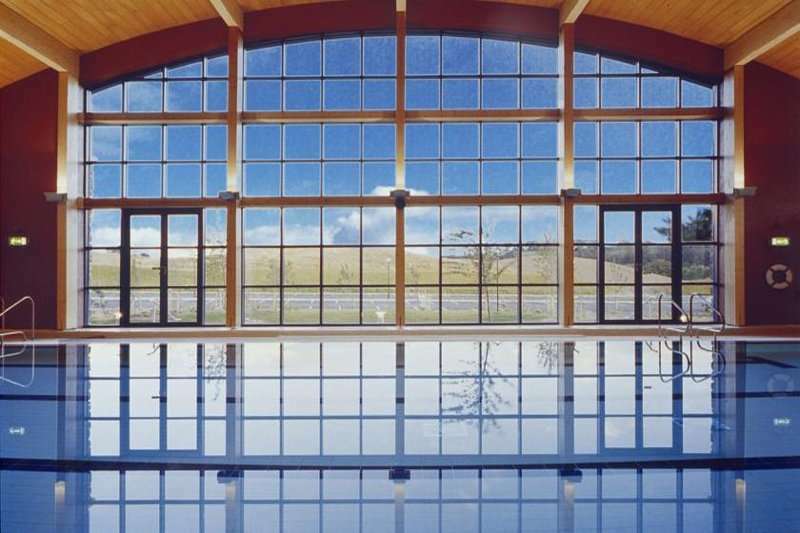 There are two fantastic 18-hole golf courses here at the Druids Glen Resort but if you are more into relaxation then you can enjoy the very special spa experience where you can find a health club with a jacuzzi, a sauna, a plunge pool, an 18-metre swimming pool and a sauna and you can also try a range of different health and beauty treatments. 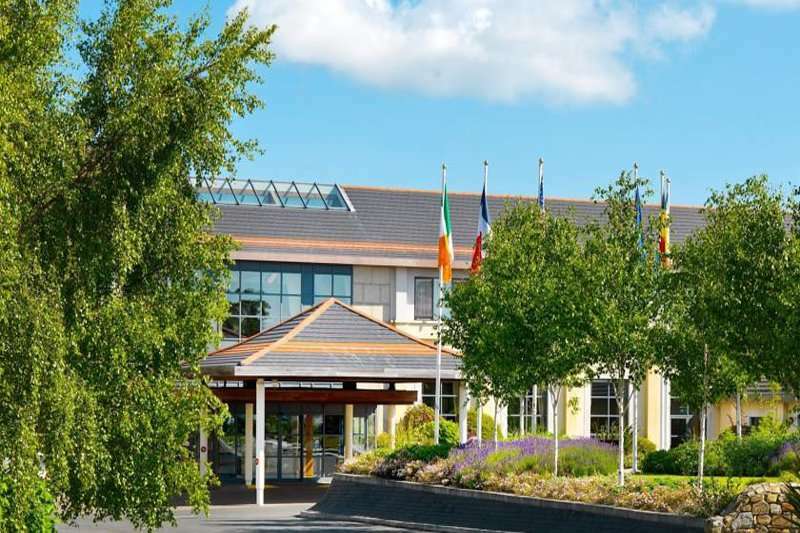 With so much to do and see within the resort as well as in the local towns and cities it is no surprise that Druids Glen Hotel and Golf Resort has such a great reputation. 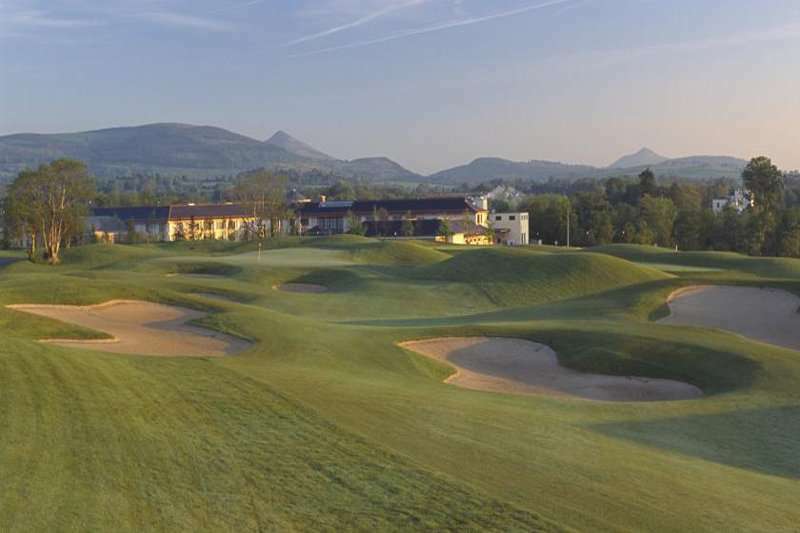 If you are looking for a world-class golfing experience combined with a luxurious stay, then look no further than the fantastic Druids Glen Hotel and Golf Resort for your next golf escape to Dublin. 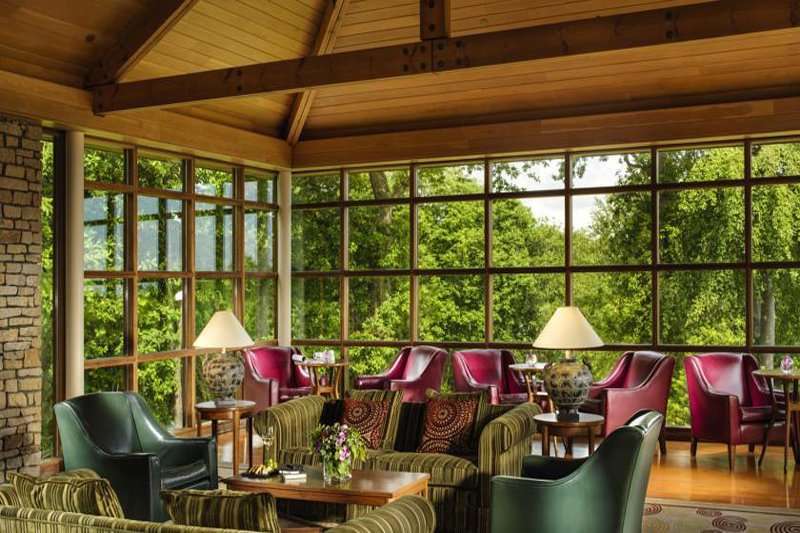 Everything at Druids Glen Hotel and Golf Resort is luxurious and world-class from the golf and the spa to the room and the service from the staff. A golf escape to this fantastic resort would never be a disappointment. The resort boasts 145 spacious guestrooms and suites which have all been recently refurbished. All of the rooms boast all of the amenities that you would expect from a hotel of this standard including air-conditioning, a flat-screen TV, Wi-Fi, tea and coffee making facilities and complimentary luxury toiletries. 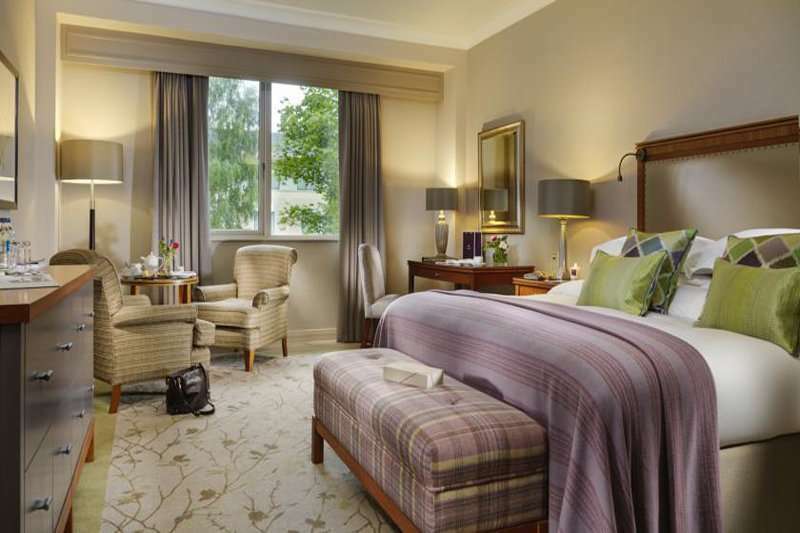 If you are looking to treat yourself, you can upgrade to a superior guestroom where you can enjoy stunning views of the Wicklow countryside. There are several different dining options for you to choose from whilst staying at Druids Glen Hotel and Golf Resort. You can fine in the stylish surroundings of Hugo’s Restaurant which boasts two AA rosettes and most of the delicious dishes are created using fresh Irish produce. Alternatively, the Garden Rooms and Bar boasts stunning views overlooking the 13th hole on the course and are styled with lovely, bespoke furniture. Whilst you are here, enjoy the lovely afternoon tea which is served daily in Woodstock House which boasts a brilliant setting at the 1st tee of the golf course. 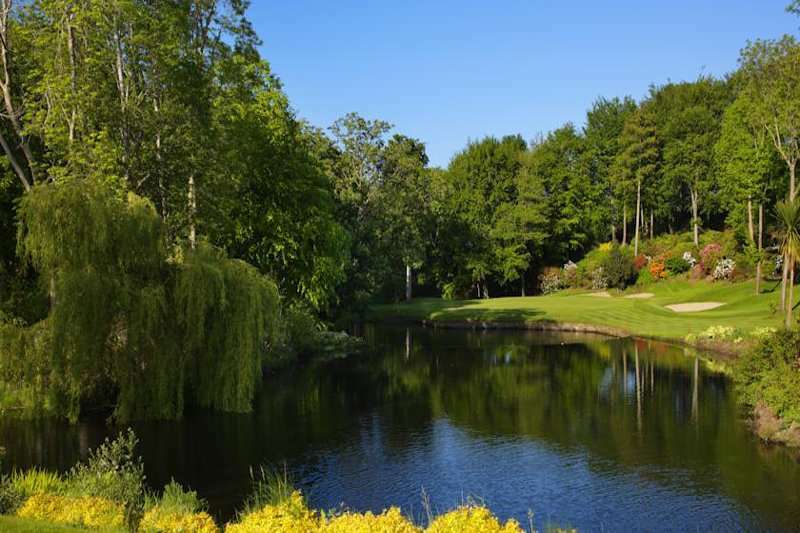 For your next golf break to Ireland, look no further than the brilliant Druids Glen Hotel and Golf Resort where you can enjoy excellent golf, delicious food and a great location.